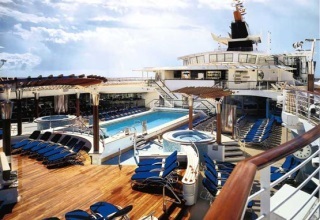 With new stunning and exciting additions, the very lovely Celebrity Summit offers a wonderful cruise vacation. 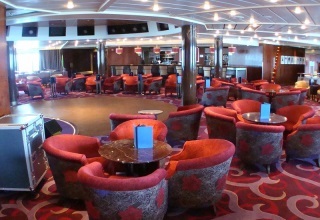 With a relaxing, yet elegant atmosphere, reminiscent of a chic resort, the updated ship offers a wide variety of activities for all age groups, including fabulous entertainment, luxurious staterooms and suites and a wide selection of fabulous culinary options, from casual fare to fine dining, plus light and healthy selections. 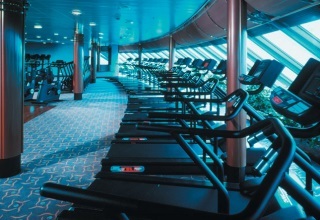 Though a Celebrity Millennium Class ship, Celebrity Summit has been enhanced with Solstice Class features. Dazzling additions include exquisite spa-inspired AquaClass staterooms with their exclusive restaurant Blu; the hip Celebrity iLounge for Internet use and classes; Cellar Masters for wine tastings, the ice-topped Martini Bar & Crush, Café al Bacio & Gelateria, inspired by an Italian piazza; the fun and unique Qsine specialty restaurant, the sophisticated Tuscan Grille and the lovely and casual Bistro on Five. 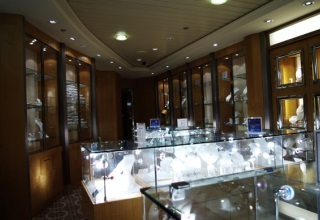 Stroll along the shopping area called the Emporium, filled with boutiques and duty-free shops with a wide assortment of items with favorite labels, for fine jewelry, watches, clothes and souvenirs. 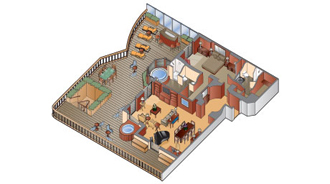 Expansive facilities for children are sure to delight them. Sink into a comfortable chair and listen to the lovely sounds of a grand piano at the relaxing Michael's Club as you savor your favorite drink in this delightful clubby atmosphere. 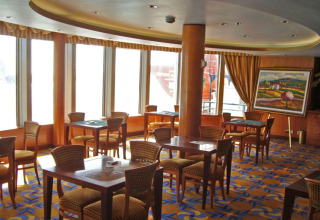 Celebrity Summit has more than 10 delicious and varied dining options, including traditional fine dining and endless buffets. There is something to please the entire family. 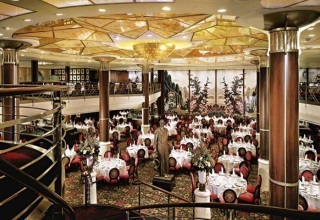 Serving delicious gourmet meals and classic favorites, the elegant two-level main dining room, Cosmopolitan is incredible. 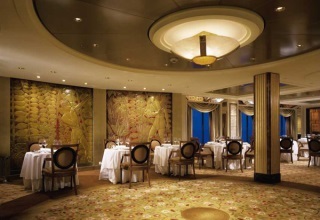 Upscale dining is offered at the stunning Normandie Restaurant, serving exquisite world-class cuisine. Complimentary 24-hour room service is also offered. 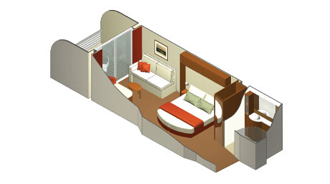 Select from a variety of beautiful staterooms and suites that are delightfully designed for your comfort. With modern luxury designs and upscale amenities, your stateroom or suite has convenient innovative storage. Welcoming and relaxing, these flexible accommodations include spacious family-friendly suites, cabins with gorgeous sea views and luxurious suites, with over half the staterooms featuring verandas. 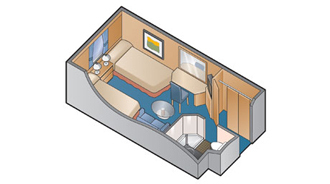 Your stateroom experience is sure to be one you will enjoy. 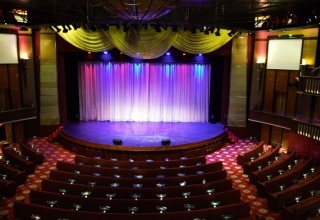 Exciting entertainment is offered on Celebrity Summit, including Broadway-style shows, extravaganzas, aerial performances and comedy at the three-deck Celebrity Theater. 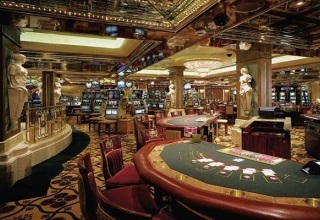 Try your luck at the Casino which offers a combination of gaming tables and slot machines, the perfect place for a fun experience. 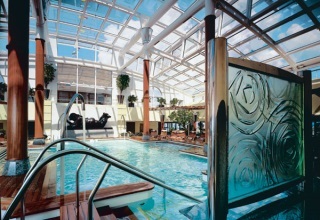 Cruise on the Celebrity Summit to fabulous destinations, including the Caribbean, Bahamas, Bermuda and U.S. & Canada. Each ocean view stateroom on board Celebrity includes the following world-class amenities that all contribute to your modern luxury experience. Our signature friendly, personalized service, Custom blended bath products, Interactive Samsung flat-screen television, Twice daily service (makeup and turndown), Celebrity eXhale™ bedding, Private safe, 24-hour room service, Private mini-bar, Complimentary tote bag. Each inside stateroom on board Celebrity includes the following world-class amenities that all contribute to your modern luxury experience. Our signature friendly, personalized service, Custom blended bath products, Interactive Samsung flat-screen television, Twice daily service (makeup and turndown), Celebrity eXhale™ bedding, Private safe, 24-hour room service, Private mini-bar, Complimentary tote bag. Each veranda stateroom on board Celebrity includes the following world-class amenities that all contribute to your modern luxury experience. 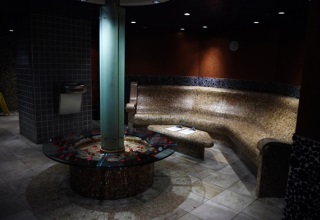 Twice daily service (makeup and turndown), Celebrity eXhale™ bedding, Private safe, 24-hour room service, Private mini-bar, Complimentary tote bag, Custom blended bath products, Interactive Samsung flat-screen television, Personal veranda. Each AquaClass stateroom includes the following world-class amenities that all contribute to your modern luxury experience. From thoughtful in-room additions to personalized service, enjoy the signature touches you'll only find when you sail with Celebrity Cruises. Special invitation to a VIP tour of the spa, Exclusive access to Blu specialty restaurant, Personal Spa Concierge to arrange AquaSpa® treatments, Unlimited access to Persian Garden spa lounge, Complimentary access to Persian Garden & Relaxation Room, Aromatherapy diffuser, Wellness Channel - On Demand AquaClass Programming (only available on SL Class Ships), Upgraded room service menu, Daily delivery of flavored tea. Each Concierge Class stateroom includes the following world-class amenities that all contribute to your modern luxury experience. From thoughtful in-room additions to personalized service, enjoy the signature touches you'll only find when you sail with Celebrity Cruises. Personalized Concierge service, Priority check-in, Exclusive embarkation day lunch, Destination Seminar, Exclusive pre-departure lounge, Priority debarkation, Main & specialty restaurant seating time preferences, Welcome sparkling wine and fresh fruit, Daily delivery of afternoon savories. Each Penthouse Suite includes the following world-class amenities that all contribute to your modern luxury experience. From exclusive dining options to personalized service, enjoy the signature touches you'll only find when you sail with Celebrity Cruises. Personal butler service, Luminae-private restaurant, Michael's Club-exclusive lounge, Luxury Bulgari bath amenities & plush robes, Priority check-in & debarkation, Full in-suite breakfast, lunch & dinner service, Spacious veranda, Priority tender service, Complimentary daily in-suite espresso and cappuccino. Unwind in modern spaces that will make you feel on top of the world. 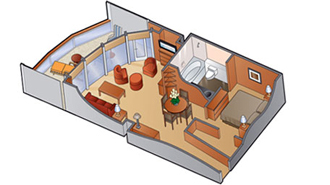 Relax in ultimate comfort in a whirlpool on your private veranda. Soak up the suite experience in a marble bath. 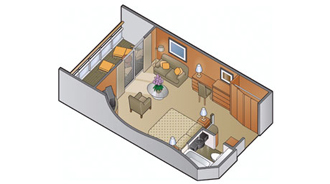 Enjoy VIP treatment with butler service, expansive lounge areas and much more. 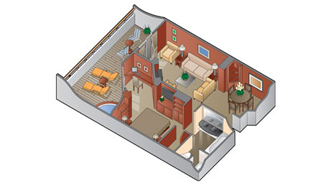 Personal butler service, Luminae-private restaurant, Michael's Club-exclusive lounge, Unlimited dining in specialty restaurants, Complimentary Premium Beverage Package, Complimentary unlimited internet, Separate living area with Baby Grand Piano, Private veranda with whirlpool and lounge seating, Marble master bath with whirlpool tub and separate shower. With spaces fit for a king or queen, our Royal Suites deliver on style and comfort. 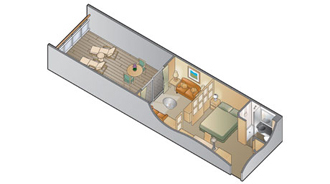 Separate living, dining, and sleeping areas provide all the room you need to relax in modern luxury. Enjoy VIP treatment in the exclusive lounge bar serving complimentary cocktails, craft beers and tapas, and savor mouthwatering meals in a private Luminae restaurant. 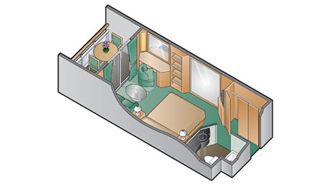 Personal butler service, Luminae-private restaurant, Michael's Club-exclusive lounge, Unlimited dining in specialty restaurants, Complimentary Premium Beverage Package, Complimentary unlimited internet, Private veranda with whirlpool and lounge seating, Marble master bath with whirlpool tub and separate shower, Priority check-in & early debarkation. Each Sky Suite includes the following world-class amenities that all contribute to your modern luxury experience. 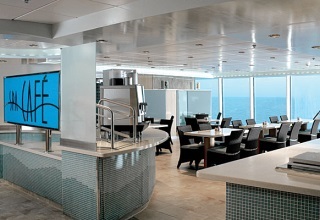 From exclusive dining options to personalized service, enjoy the signature touches you'll only find when you sail with Celebrity Cruises. Personal butler service, Luminae-private restaurant, Michael's Club-exclusive lounge, Spacious veranda, Priority check-in & debarkation, In-suite breakfast, lunch & dinner service, Complimentary daily in-suite espresso and cappuccino, Luxury Bulgari bath amenities & plush robes, Reserved theatre seating on select nights. Our accessible Sky Suites feature more space and thoughtful additions to make your time on board as comfortable as possible. 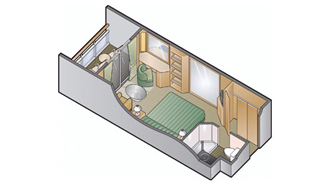 Our accessible Sky suites feature wider doors, roll-in showers, grab bars and other special features for guests with mobility disabilities and other disabilities. 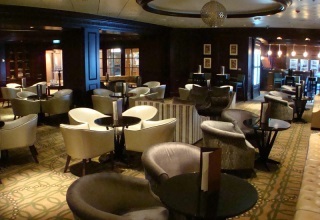 Surrounded by history, you'll marvel at original paneling and ornamentation from the celebrated SS Normandie. The Normandie Restaurant offers an alternative dining experience, in which world-class cuisine is presented and finished at tableside. It's the quintessential Celebrity experience - spectacular cuisine complemented by crisp table linens, fine china and attentive, unobtrusive service. Don't let anyone tell you different: soaking up the sun’s rays really works up an appetite. 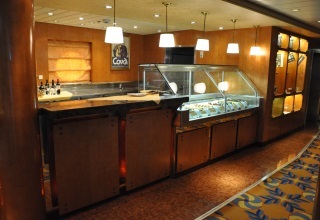 Luckily, The Waterfall Grill/Café is located just a short walk from the pool deck. 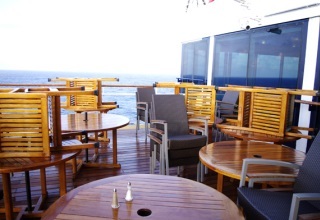 Enjoy a delicious meal in a casual setting, before you head back to lounge the afternoon away. 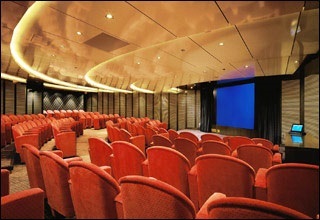 The stage comes alive in the state-of-the-art theater with dazzling special effects and Broadway-style productions. 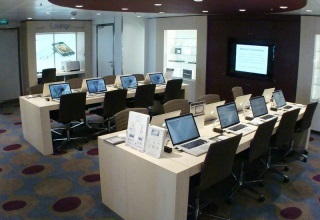 The handsome two-story library features books in many languages. 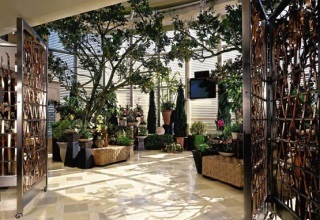 The stunning foyer greets you with a spectacular onyx staircase, marble floors and panoramic ocean-view glass elevators. 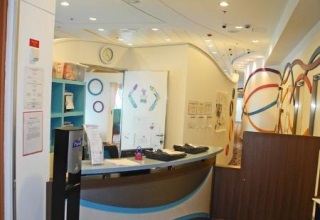 Enjoy 24-hour access to the Internet and send and receive email in this onboard Internet café. 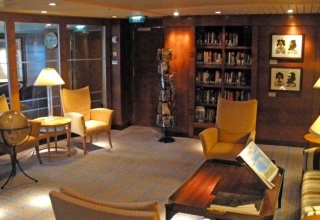 Escape to the first music library at sea, and enjoy your own state-of-the-art personal listening station where you may access thousands of digital musical recordings. Open to children ages 3-11, and supervised by fully trained youth staff, Fun Factory offers plenty of games to play and activities to take part in. In the mood for a bit of bubbly? 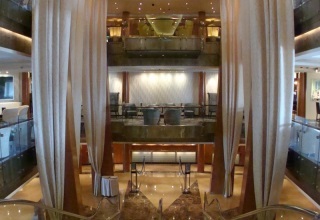 Then our Champagne Bar is sure to have a vintage that satisfies. Maybe you prefer the perfect martini. If that's the case, then Celebrity's Martini Bar provides a sophisticated setting that lives up to the name of its signature cocktail. 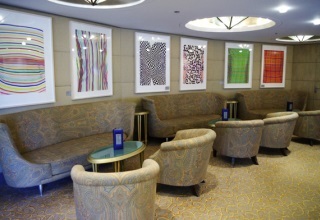 The ideal meeting place, our Rendez-Vous Lounge offers guests quiet niches and plush, comfortable seating. 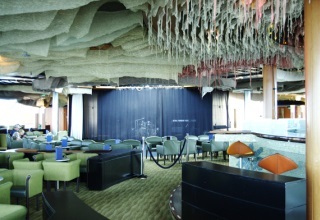 The lounges above overlook the Rendez-Vous dance floor stage.